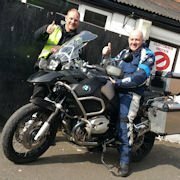 If you want expert motorcycle training that you’ll be able to count on for years to come, North London Motorcycle Training will be able to help you. We have a complete range of courses that provide everything needed for beginners, budding instructors and everyone in-between. So you think it’s time to move on from your 125cc. Not interested in geared bikes, then a full A2 licence could be the way forward. With a full category A2 auto licence your scooter range will open up dramatically allowing you to ride any scooters with a power output no greater than 35 KW (46.6 BHP) which typically means a 500cc engine. Training of the DAS Course allows you to take the Driving Standards Agency (DSA) motorcycle test. 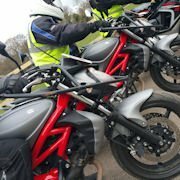 You must have a valid Motorcycle Theory Test certificate and a valid CBT certificate prior to joining this two part module course, The purpose of these modules is to demonstrate that you can handle a bike safely and competently on the open road. 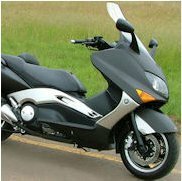 The enjoyment gained from riding a motorcycle skilfully and safely is second to none. However, it takes confidence, excellent riding skills, physical co-ordination and balance. Keeping your skills up to date and checking that you have not become overconfident, complacent or picked up some bad or dangerous habits is something that few of us do. “5 star – This place is absolutely amazing this where everything should be , during my course with the school they helped me to gain my full uk license and the all the staff & instructor such as Rick, Stewart, Eugene, Pedro absolutely amazing people I can’t wait to go and see them so I’d like to use the opportunity and say THANK YOU ALL!!!!!! “My wife and I had a 5 Day DAS course with NLMT and we thought that it was an excellent motorcycle training centre. The instructors we had (Derek, Pedro and Simon) were very professional, patient and courteous, who gave clear explanations and made sure we understood what we needed to work on to be safe on the road (and not just pass the test). From the moment I first called them up I realised that this was a much more professional school than others since they have a dedicated team to organise the training Thanks guys, and hopefully we’ll see you soon! 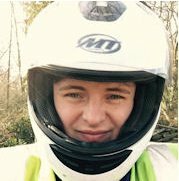 NEED MOTORCYCLE TRAINING IN NORTH LONDON?